She couldn't have relaxed in a nicer place before the biggest performance of her life! Lady Gaga stayed in this $10K-a-night Airbnb rental during her stay in Houston for the Super Bowl. The $20 million estate, named Villa Encantado, was given to her to stay in free of charge! 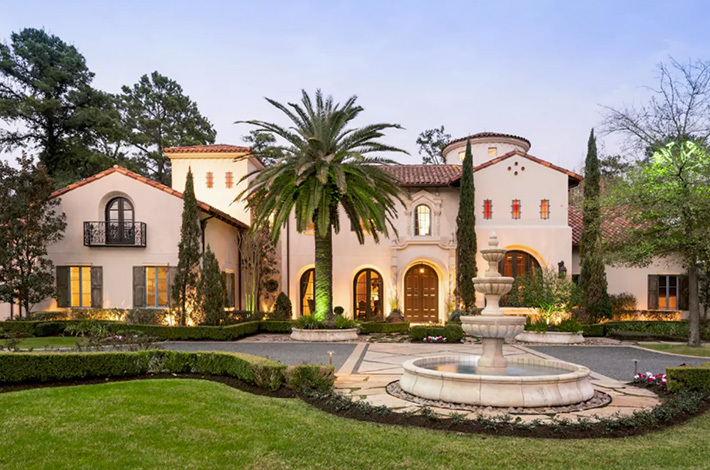 The 9,768 square foot manse boasts 5 bedrooms and 5.5 bathrooms, as well as a fitness center, lagoon-style pool, a plush home theater, and a wine cellar. The gigantic master suite has a walk-in closet and a spacious bathroom, which made accomodating her glam squad and extensive wardrobe a lot easier. As we now know, Mother Monster delivered an epic halftime performance that will live on for ages!